In December 2014, the U.S. Food and Drug Administration (FDA) approved Jakafi for the treatment of patients with polycythemia vera (PV) who have had an inadequate response to, or are intolerant of hydroxyurea (HU). This approval was based upon results of the Phase III RESPONSE trial and resulted in several updates to the prescribing information (PI). The most recent version of the Prescribing Information is available here. 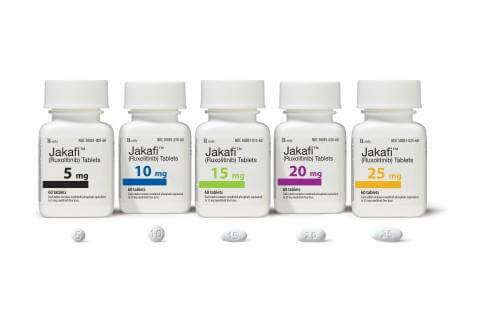 Jakafi was approved in 2011 for the treatment of patients with intermediate or high-risk myelofibrosis, including primary myelofibrosis, post-polycythemia vera myelofibrosis and post-essential thrombocythemia myelofibrosis. In depth information on Jakafi (ruxolitinib) can be found on the manufacturer’s comprehensive website.